Denis Alexander is a molecular biologist and it is to the molecular basis of life that he turns in Chapter 3 of his book “Is There Purpose in Biology?” As a chemist, I find this chapter fascinating. Biology is nothing without chemistry. 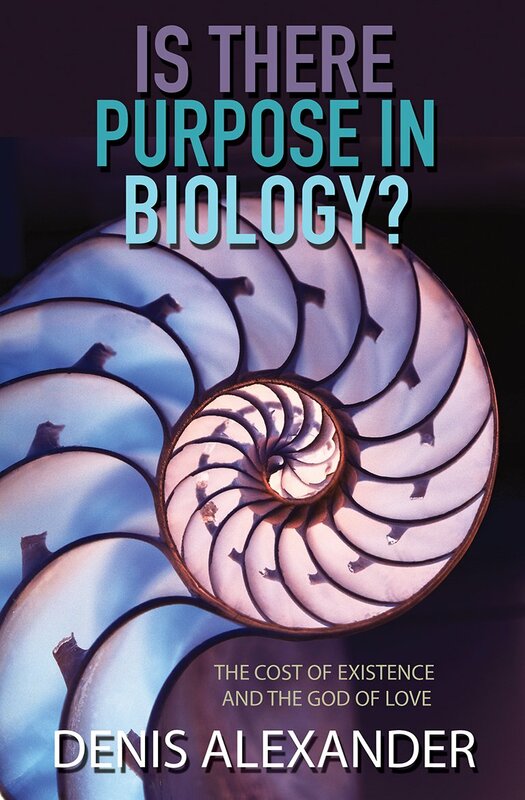 To set the stage: in chapter 1 Denis introduced a historical perspective on the discussion of purpose in biology, in chapter 2 he outlined the Grand Narrative of biology. The increase in complexity in undeniable, from early single-cell organisms to the biodiversity that characterizes life today. The development of this biodiversity is characterized by convergence. Similar structures developed from very different directions. The eye provides one well known example of such convergence. Evolution is not a random process operating in a flat landscape. Rather there are physical constraints and optimal solutions. There are chemical constraints as well. The cell is a complex bag of chemicals with proteins providing structure, transporting molecules, generating signals, sensing stimuli, and catalyzing critical chemical reactions. These proteins are composed of various arrangements of 20 common amino acids (although chemical modification can provide some additional variation exploited in the cell) along with various metals and other cofactors. The self-replicating DNA chains found in the chromosomes store the information that allows the production of the various proteins and other biological molecules required for life. 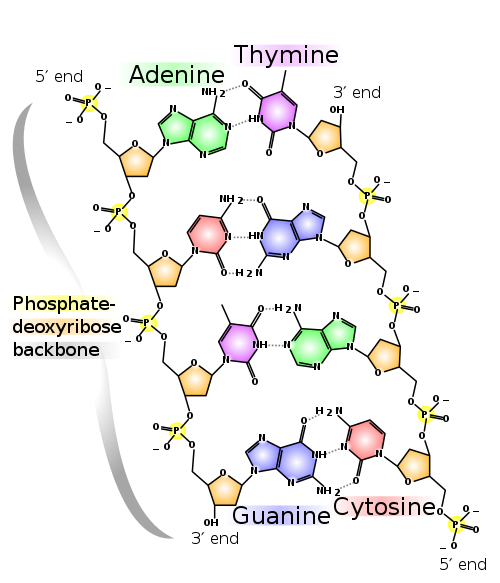 Four nucleobases labeled A, C, T, and G are arranged in triplets code for the common amino acids. These are paired via hydrogen bonds in the well known double helix of DNA (Image credit). Proteins, especially enzymes, provide another example of evolutionary convergence. Similar mutations at specific locations have occurred multiple times in response to external stimuli. Denis writes: “Convergent evolution also applies just as much to proteins as to other components of living things. … The specific amino acid sequences of proteins that bestow upon them specific enzymatic activities is no accident This again contrasts sharply with what biologists initially thought would be the case before structural studies began.” (p. 121) Several examples are outlined … echolocation, photosynthesis, chirpless crickets, and viral resistance in insects among others. (Read the book – Denis gives a highly readable summary.) The bottom line is that evolution converts randomness into purpose, and a common selective agent (say viral threat) can lead to the same common solution at different times and places. Chemistry constrains the possible, the efficient, and the effective. This isn’t an argument for a designer … rather it is an argument against unrestrained randomness and chance. The chemistry that permits and powers life is highly constrained by a wide range of factors. It is simply not true that life is a random and lucky accident, or that many other forms of life are equally likely. Using atoms arranged into molecules, there are only so many ways to achieve the necessary functions for life. Biochemistry/molecular biology reveals an elegant and coherent chemical story we are only beginning to understand. You may also comment on Chemistry Rules! at Jesus Creed. This entry was posted in Evolution and tagged Denis Alexander. Bookmark the permalink.